Did you know that most of the bacterial infections start at your kitchen? Coming to think about it, most bacteria and viruses that cause flu and cold are spread by handling food. Raw fish, chicken, meat and vegetables are also full of illness causing bacteria and microorganisms that can be fatal. Even if you are cooking everything home, your family might still be at risk. Ironically, this particular food you are cooking might be the reason why your household is not as healthy as you wish it to be. But does this mean that food is dangerous? Of course not! The problem is with handling food and not cleaning properly after using the kitchen. It is not just about doing the dishes at night. 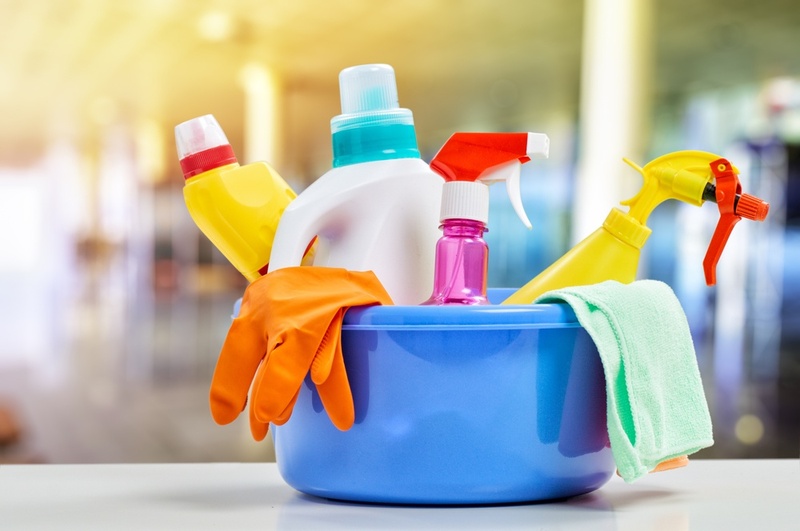 There are a lot of things that you can do to make sure that everything is clean, safe and healthy for your family to use. In this article, we will provide a helpful guide that will walk you through the whole process. Regular and proper cleaning of your kitchen will keep your house well maintained. It will help you identify and detect problems that might affect the health of your family or decrease the value of your assets. There should be no room for clutter in your kitchen. This might sound easier said than done but with too much clutter your job will be impossible. Pick up everything that doesn’t belong to the kitchen and keep all these items in a box for now. You can later go through them and you might be able to make some money out of them, too! 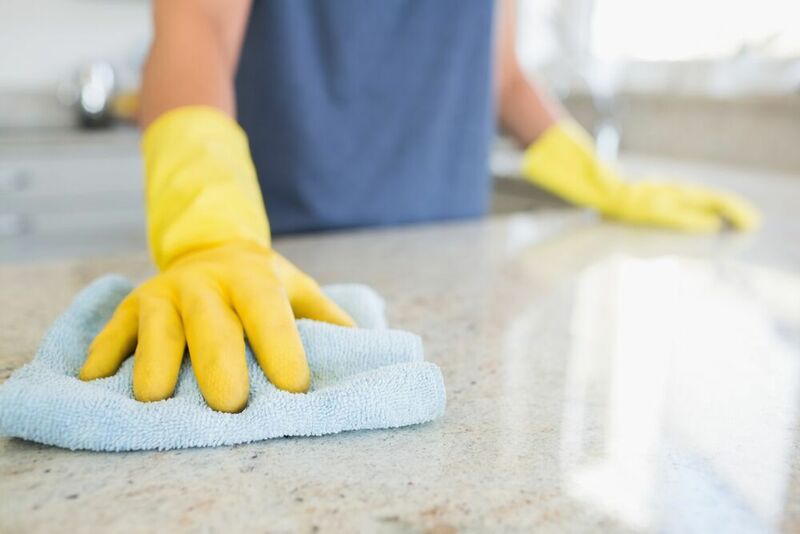 An all-purpose cleaner can work wonders on your countertops. Spray it as per the manufacturer’s instructions on all the empty counters and shelves. Fats tend to stick to your countertops leaving a sticky residue. Most of the time, you will have to let the cleaner work in order to remove any stuck oils or fats. Make sure that you start with new sponges. An old sponge might contain more bacteria than what you can imagine in your worst nightmares. Remember that you need to remove all health hazards from your kitchen. As a matter of fact, you shouldn’t ignore any wall or corner. Start from the top and use a duster that has a long handle to clean the ceilings and above counters. All the dust will fall on the floor and counters where you can pick it easily. Check corners for water leaks from your water pipes, from an adjacent bathroom or the bath tub on the upper floor. If there is mold then you should definitely contact a professional to deal with it. Hiring a professional from a reputable company like waterdamagerestorationdallastexas.com enables you to get rid of mold and all its nasty effects. Soak a rag with your cleaning solution and wipe the doors of cabinets. Circle the room to make sure that you have cleaned everything. Don’t forget to wipe the outside of the fridge and the dishwasher. Always start from the top towards the bottom so that you can pick up any food crumbles and dust. Empty that full sink! Clean all the dirty dishes then fill your sink with hot soapy water. This can be used to soak the microwave turning plate and any removable shelves. Regularly cleaning your fridge is a great way to make sure that your family is safe. Remember that bacteria and microorganisms are capable of surviving in extreme conditions. Even after you toss expired food, there will still be some nasty bacteria that you have to get rid of. Remove any removable shelves and soak them in the sink. You can also use a clean sponge that is soaked with a cleansing solution to wipe every corner and shelf. Always start from the top and move towards the bottom. You can prepare an easy cleaning solution to clean the insides and outsides of your microwave. Squeeze two lemons into a bowl of water. Switch on the microwave and let it work for 1 minute. This powerful and natural cleansing solution will dissolve all the stuck oils and fats. Switch off the microwave and soak a sponge into your homemade cleanser. It won’t just clean your microwave, but will also make it smell extra fresh. Now it is time to take a look at every item you have placed in the sink earlier. Put the dirty dishes and bowls in the dishwasher or clean them with a soapy sponge. Use a clean sponge to clean all the sides and corners of the sink. There are a lot of green renovations that will help you reduce your impact on the environment. You can always go through your trash to pick up recyclable items for a greener home. Use a disinfectant to clean the insides of your trash bin and to wipe your floors. 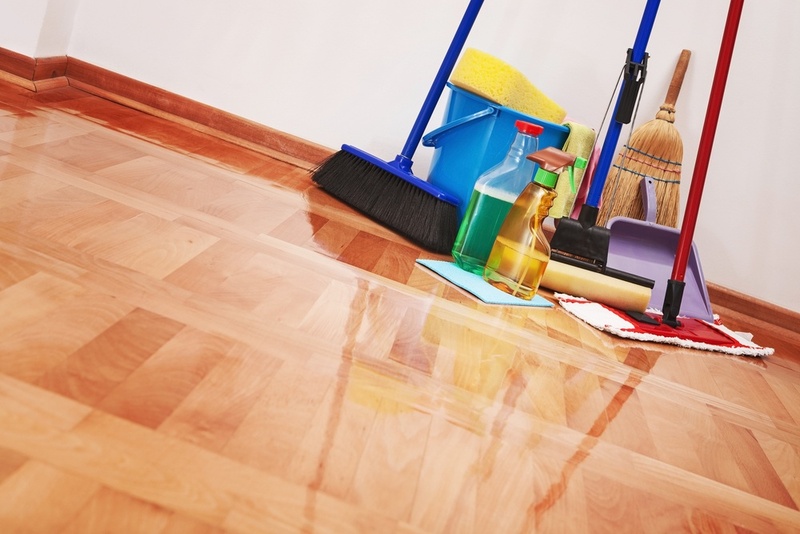 Use a steam cleaner to make sure that all bacteria have been removed. Don’t forget to wipe the corners and under the sink. Regularly cleaning your kitchen will make this process so much easier. Always ask your family members for help as this will take loads of work off your shoulders. When you do this frequently, the process will become so much easier.